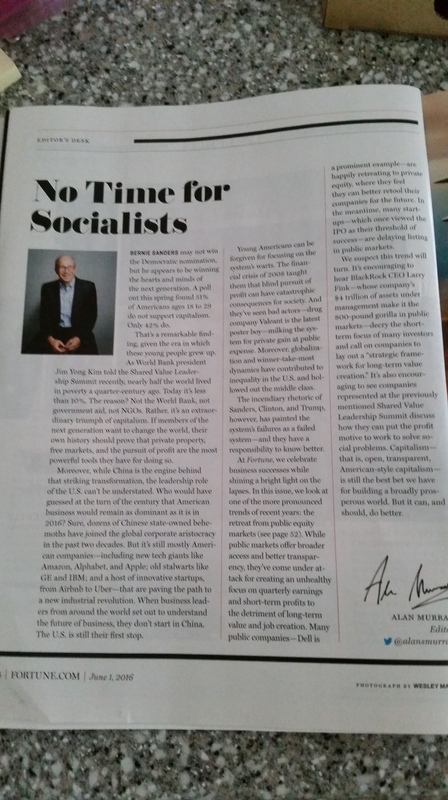 Just read this month’s Fortune’ editorial:”No time for socialists”. It seems not very persuasive. It will be helpful to see why people feel excluded from the system and provide some concrete steps to fix it. Even a small step foward helping to break away from the unhealthy partisan dog fight will change the dynamics. Chinese Ming dynasty died partially because of partisan fight between the king and two other major parties.